HALF GIRLFRIEND OPENS BIG, RECORDS AN IMPRESSIVE DAY 1 OF 10.27 CRORE! 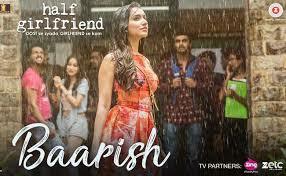 Balaji Motion Pictures’ ‘Half Girlfriend’, Directed by Mohit Suri has recorded a fantastic first day Box office collection of 10.27cr, making it the fifth highest opener of the year, after Bahubali 2, Raees, Jolly LLB and Badrinath Ki Dulhaniya. The film that released across 2500 screens pan India, stood tall amidst the Bahubali 2 wave and clocked in a fantastic Day 1 figure. Shreyans Hirawat of NH Studioz, the company that is distributing the film nationwide adds “We are ecstatic at this opening figure! ‘Half Girlfriend’ has not only managed to stand out with its immense hype and pre-buzz, but also recorded a fantastic opening of 10.27cr, in the face of the Bahubali wave and the IPL match factor. The audiences have spoken and have thronged theatres giving the film a massive initial. Half Girlfriend was the only film that had managed to stand out and has seen solid growth through the first day across centres. With Arjun Kapoor and Shraddha Kapoor’s chemistry, Chetan Bhagat’s best seller adaptation, Mohit Suri’s music and Ekta Kapoor’s studio backing, we at NH Studioz are ecstatic at the fantastic opening”. Half Girlfriend is an adaptation of Chetan Bhagat’s best-selling novel by the same name. The movie is Directed by Mohit Suri and is an intense love story that sets out to explore the ‘grey area’ in relationships today. Arjun Kapoor plays the role of Madhav Jha and Shraddha Kapoor plays the role of Riya Somani.